A super-cute knee-length, triple-layer ruffled skirt you can sew onto a t-shirt to make a cute dress. 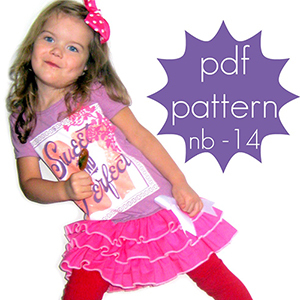 Make a shirt using any of Jocole's patterns or sew the skirt to an existing t-shirt. Pattern includes sizes NB to 14.